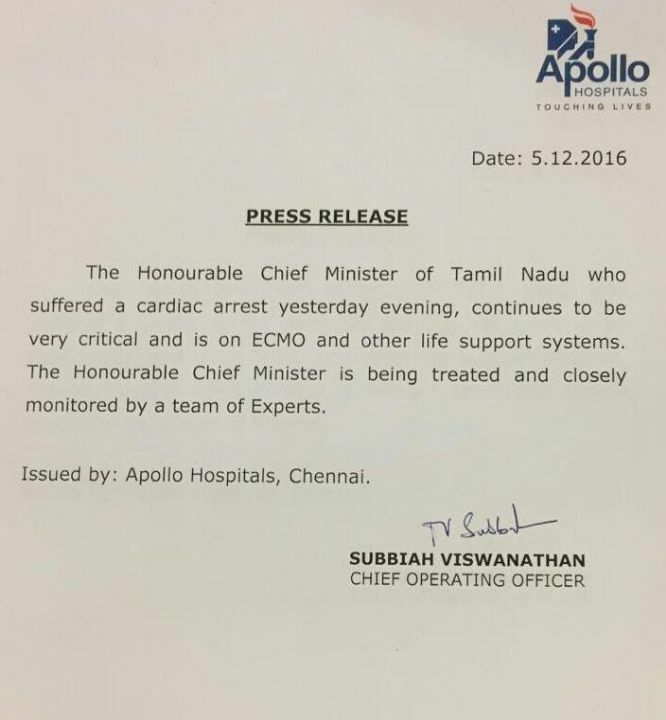 Chennai’s Apollo Hospital issued a medical bulletin on the health of Tamil Nadu CM Jayalalithaa saying that she suffered a cardiac arrest on Sunday, December 4th. 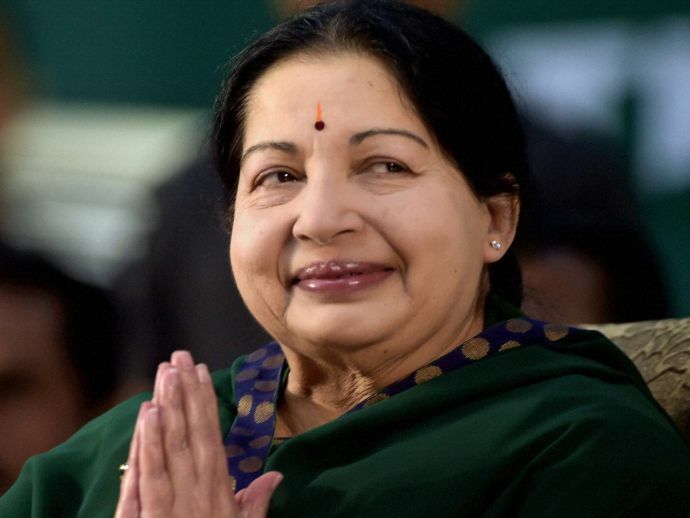 The Apollo Hospital confirmed hours after her party claimed that she had recovered. Reportedly, the 68-year-old AIADMK leader is treated and monitored by a team of experts including cardiologists and critical care specialists. 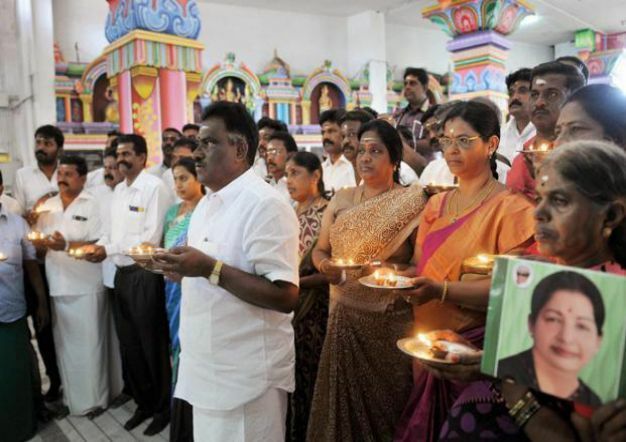 The supporters of Honourable CM were deeply dejected after hearing about her health condition. Many followers started praying for her outside the hospital. For precautionary measures, heavy police forces have been deployed outside the hospital. The roads leading to the Apollo Hospital are temporarily blocked. Some schools in Chennai took independent decisions and declared holiday. Meanwhile, Home Minister Rajnath Singh spoke to Tamil Nadu governor and asked him to enquire about jayalalithaa’s health status. 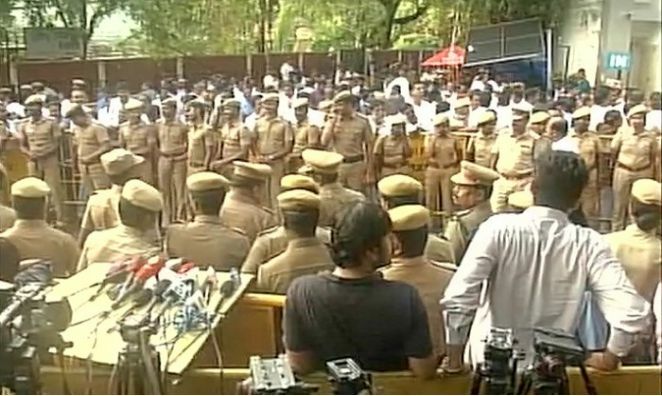 Prime Minister Narendra Modi, President Pranab Mukherjee, Maharashtra CM Devendra Fadnavis, West Bengal CM Mamta Banerjee, Delhi CM Arvind Kejriwal, Congress Vice- President Rahul Gandhi were among the leaders who tweeted for speedy recovery of Chief Minister J.Jayalalithaa. Got to know about Tamil Nadu CM #Jayalalithaa ji's health. Maharashtra prays for her speedy recovery !